Lent and Easter are very early this year. In fact, Ash Wednesday is only a week and a half away, on 10 February. Easter Sunday, and consequently the weeks of Lent and Easter either side of it, is obviously not determined by a fixed date. It is set by looking to the cycles of the earth and skies. In the Roman Catholic tradition, Easter Sunday is the Sunday that follows the first full moon after the autumn (for us, or spring, for those in the northern hemisphere) equinox, with the Church setting 21 March as the approximate date for that equinox. This was determined at the Council of Nicaea in 325 (the same council that began to formalise the Creed we pray most Sundays). That “first full moon” this year is on 23 March, so Easter Sunday will follow on 27 March. It is often different to the date for Jewish Passover, which is determined according to the Jewish calendar. It also varies often to the date for Easter in the Orthodox tradition, where the Julian calendar is still used (rather than the Gregorian calendar that is used in our Church and secularly in Australia). On some occasions, however, we have the fortunate coincidence of two, or all three of those dates aligning. Of course, an early Easter also means that our younger parishioners will have another two weeks at school after Easter before their next holiday break! There are many responsibilities that are carried out by sacristans. Books like The Sacristy Manual (by G Thomas Ryan) outline their tasks and give advice regarding the traditions, customs and practices they need to be familiar with. One responsibility of the sacristan is to ensure that the liturgical calendar for the parish is observed and implemented on a daily basis. This will often require some coordination with the parish priest and the parish office. 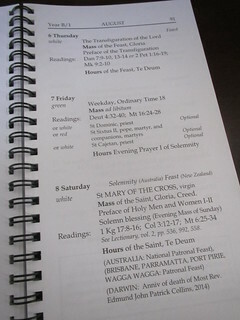 Sacristans use the liturgical calendar issued by the Australian Bishops (and in our parish, the Carmelite calendar issued by the Province as well) to ensure that the correct prayers, readings and coloured vestments are arranged and prepared for the celebration. Some feast days allow for, or even require the celebration of particular rituals. These need to be noted and considered well in advance, as sacristans may need to ensure that items are prepared for them. Imagine celebrating Ash Wednesday without ashes! As crazy as it sounds, it can easily happen if sacristans are not paying attention to the liturgical calendar and are caught unawares. 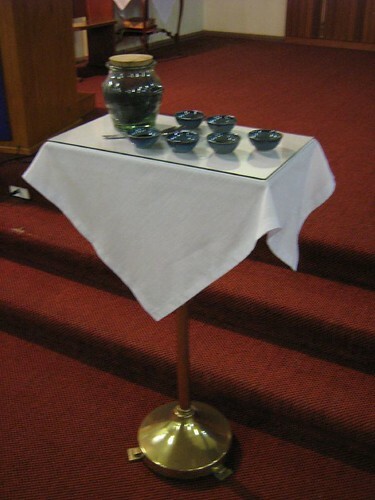 Other sacramental celebrations, events and unexpected celebrations such as funerals are inevitably added to the liturgical schedule of a parish. Some are known well in advance, others come with only a few days’ notice. Sacristans need to be aware of these as well to ensure that all is ready. These are often occasions that bring many visitors to our church, and good preparation helps ensure that visitors feel welcome.